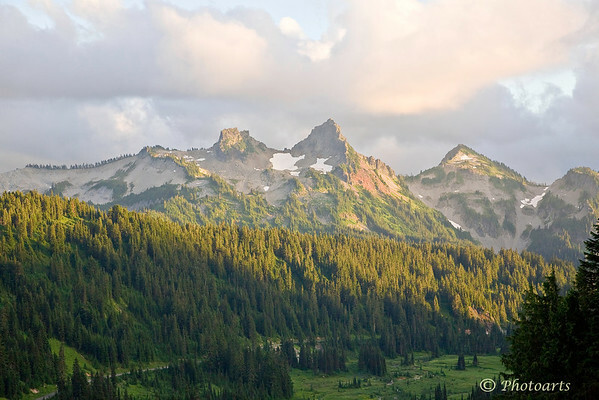 View of Tatoosh Range in Mt. Rainier National Park, from Skyline trail. Gorgeous shot! I love the mountains and the light! Beautiful shot! The light is wonderful. Great colors and sky! Beautiful scenic shot with nice light!